Tom’s is one of the best upholstery cleaning service companies that has expert & highly trained certified technicians having more than 10 years of cleaning industry experience. Our professionals have a keen eye on the places where nasty dust, germs, worms, food and pen stains, whether dark or light are playing around your walls, furniture and fabrics. We clean from anything to everything that helps you with the health, safety and aesthetics for your family and staff. Our cleaners approach to the customers is professional and humble. 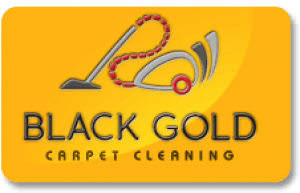 We make sure that our customers get pleased with every cleaning services we provide. We have more than 200 happy repeat customers monthly and increasing daily. Let us handle the dirty work of your upholstered furniture. We have exclusive 20% Off discount on our cleaning services for new customers. Call Us for Free Instant Quote on 1300 068 194. We also offer steam extraction services for carpets, curtains, sofas, chairs and couches that are prone to hiding dust within them. Couches and sofas are where your kids or pets lay down after a tough day at school or fun play outside in the backyard. So, we at Toms keep your cleaning worries at bay by keeping your furniture dust free, hygienic and refreshed through our steam based Sofa Cleaning services.